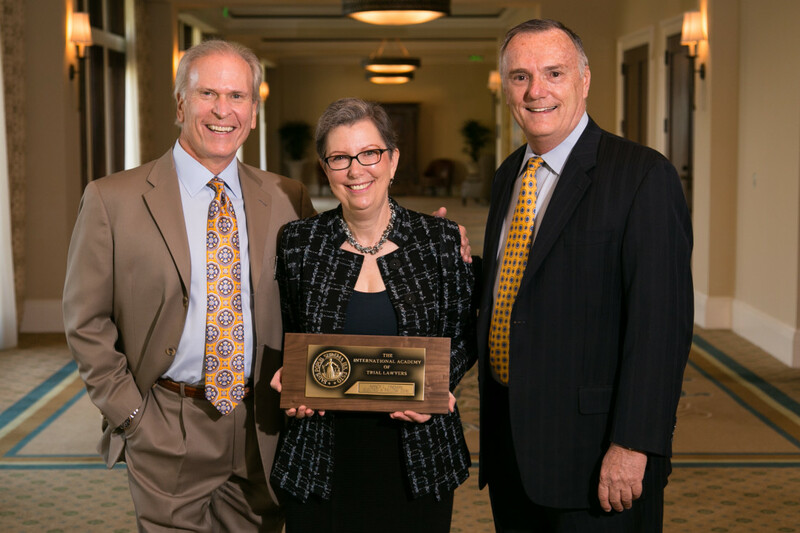 Nancy Fineman was inducted as a Fellow in the Academy of Trial Lawyers on July 29. The Academy is a group of truly elite trial lawyers representing both sides of the Bar: prosecutors and defense lawyers in criminal cases, and plaintiffs' and defense counsel in civil litigation (including business and personal injury cases). While the majority of the Fellows come from the U.S., the Academy includes lawyers from more than 30 countries. Fellowship is by invitation only, and trial lawyers are invited to become Fellows only after an extremely careful vetting process. As to U.S. Fellows, the Academy's bylaws limit Fellowship to 500 active trial lawyers under the age of 70. Upon reaching the age of 70, a Fellow retains all of his or her rights and privileges but is no longer counted against the cap of 500. This provision assures that each year there will be openings for first-rate nominees to enter the Fellowship.